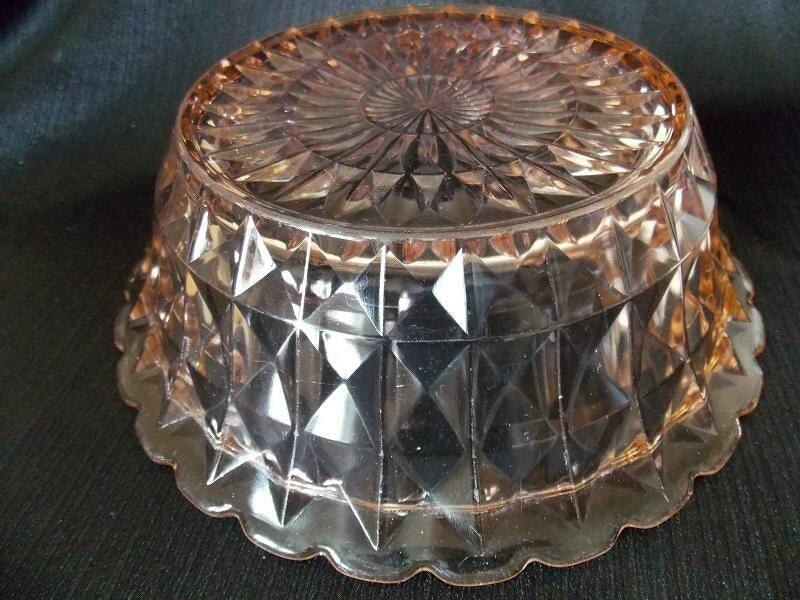 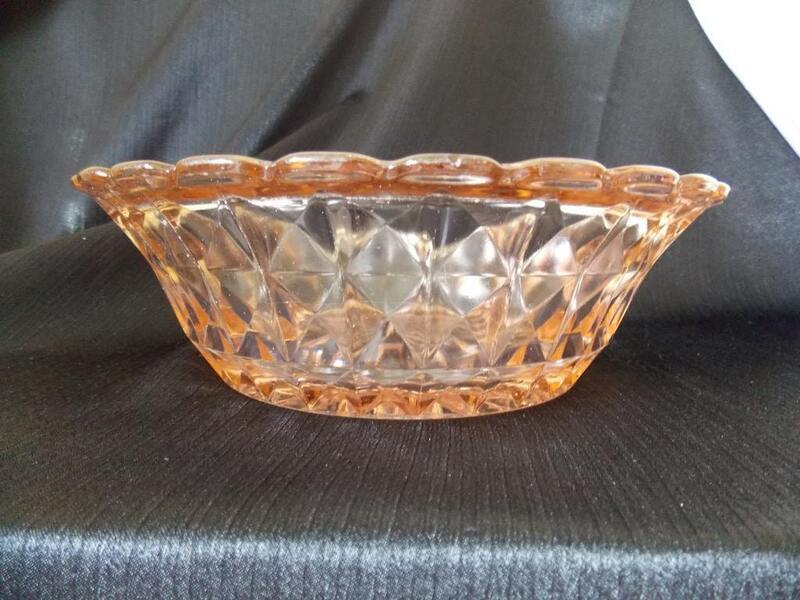 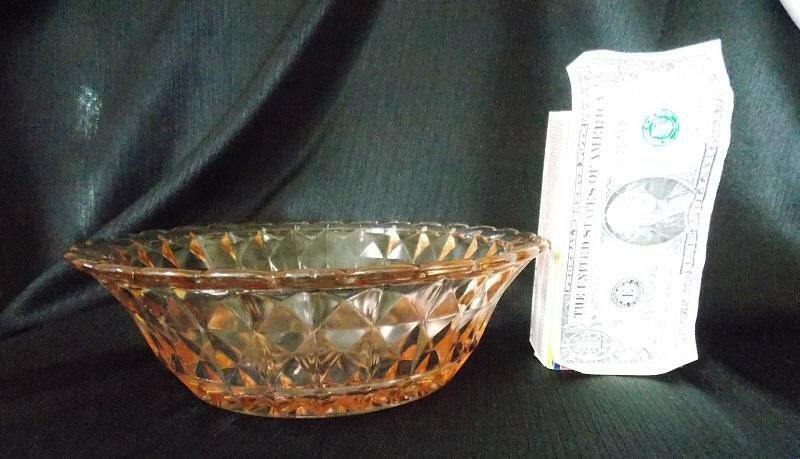 This vintage pink glass bowl features a stacked diamond pattern. 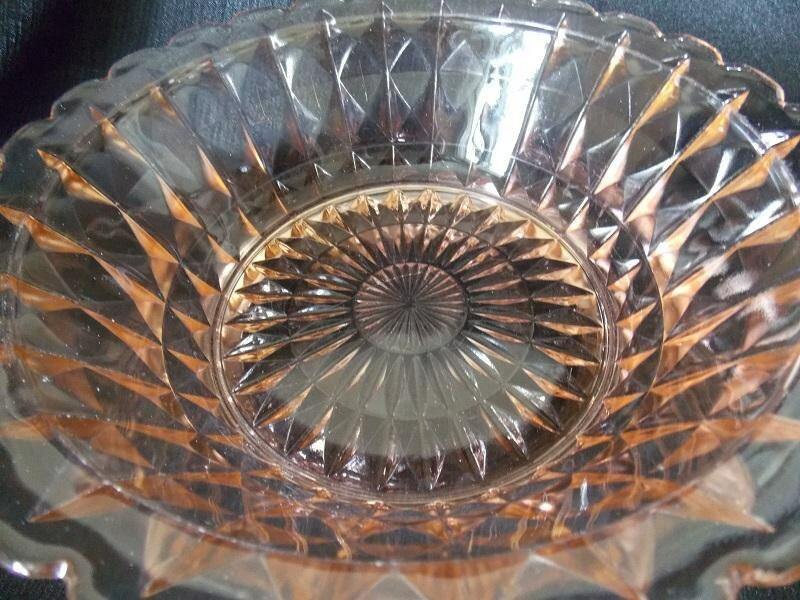 The rim flares out, and it has a scalloped edge. 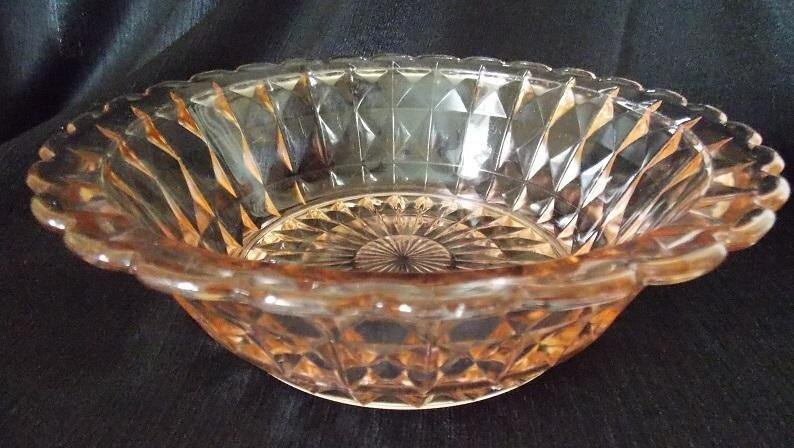 Great serving or fruit bowl.